WirelessAir™ is an advanced wireless controller that lets you rule your air spring system, no strings attached. Easy installation - no lines to the cab! Note: WirelessAIR is not compatible with air tanks. WirelessAir™ provides one-touch inflation and deflation of your air springs from inside or outside the vehicle. Control the air like a boss. Inflate and deflate each air spring independently to different pressures - perfect for users with uneven or top-heavy loads. With two user-defined memory buttons, WirelessAir can remember your frequently used settings. 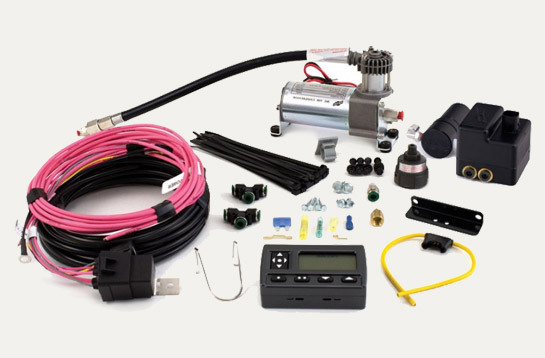 The WirelessAir system includes a heavy-duty air compressor, manifold and wireless remote and is incredibly easy to install using only common mechanic tools. 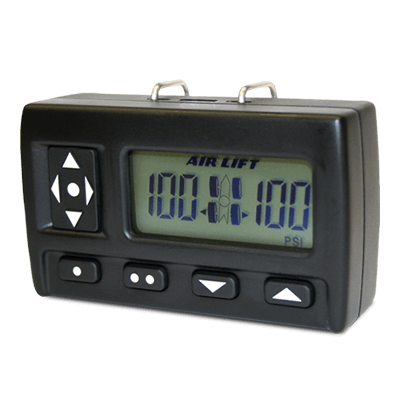 With no need to run air lines into the cab, the system installs in only a few hours. See specific application for exact contents.